Oil on canvas, 100 x 80 cm (39.4 by 31.5 in). Signed, titled and dated "(19)72“. Period original black-painted studio frame. 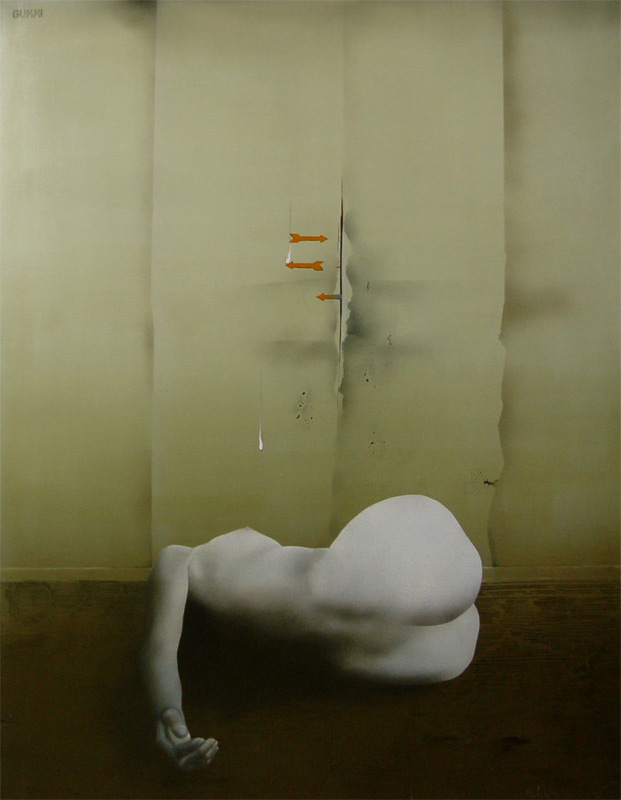 The artist, born 1942 in Ratingen near Düsseldorf, lives and works in Bavaria. He studied from 1965 until 1970 at the University of Fine Arts in Berlin, as a pupil of Professor Hans Uhlmann. 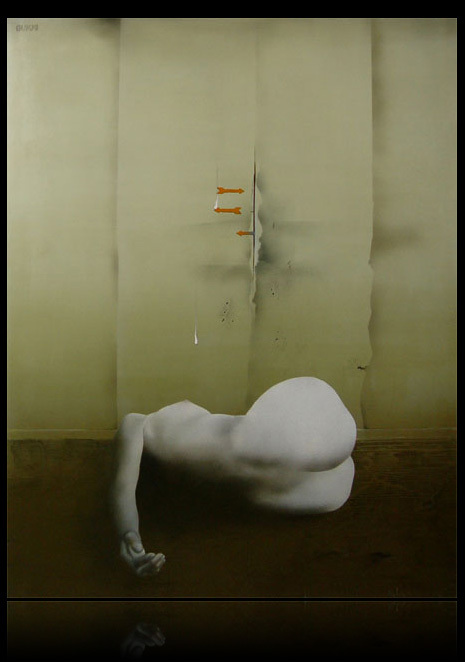 Since 1968 his works been represented at numerous exhibitions in Germany, Holland, Sweden, Switzerland and the United States. In the year 1993 he became a lecturer for etching at the Department of Art Education at the University of Erlangen-Nuremberg. His landscapes are also self experienced so as dreamed, fragments of a poetic World, returned to reality of the presence by technical elements. The female nudes are stoical, inaccessibly characters shaped from the spirit of old and new myths, as torsi fragments of our thoughts and desires. Literature: J. Weichardt - Michael Schmidt-Stein - Bilder, Gouachen, Aquarelle und Farbradierungen, (with english introduction) Bad Oeynhausen - Münster 1985. The motif of this painting formulates the controversial subject of pregnancy prevention from the perspective of female perceptions. A most aesthetical and major work of the early 1970s with an subtle sense of feminine sensibility. Excellent original condition. Further details and price on request.